rated as the most accurate wristwatch in the world, EVER! 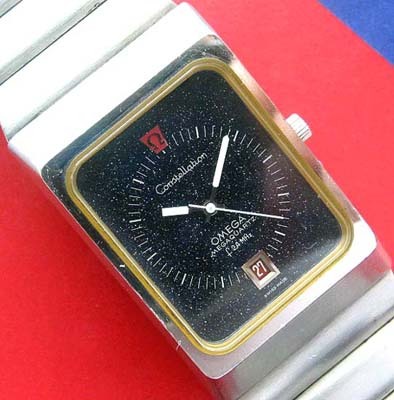 This watch perhaps is the highest evolution of quartz technology in a wristwatch. The massive stainless steel case has a reference number of ST 396.0806 and is fitted with the Omega Chronometer rated calibre 1510. 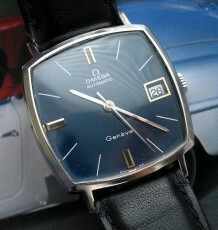 The dial of this Omega Constellation is an interesting Lapis blue speckled pattern with glistens as it is moved. The date wheel at the bottom of the dial has white numbers set against a red background. 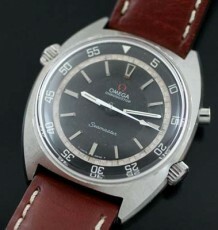 The watch is supplied on the original heavy steel Omega bracelet that it left the factory with. 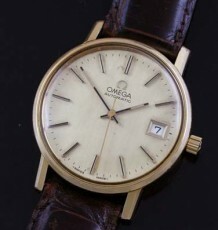 These watches bear a family resemblance with the highly rated and very significant Omega Mariner Chronometer wristwatch, which used a modified version of this movement. The watch measures 33 mm wide by a whopping 49 mm long. 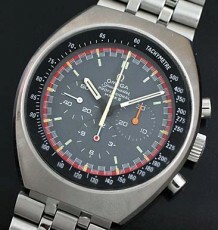 This is an impressive piece for any Omega fan to own.